This is a long overdue review for you all today! 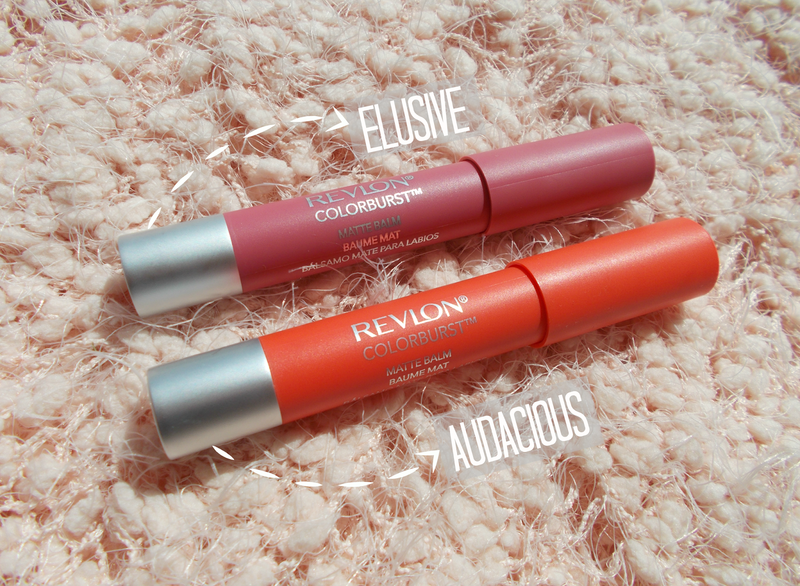 I picked up two Revlon Colorburst Matte Balms in Boots way back in the Summer of last year and thoughts I'd share my thought on them with you. I never really bought into the whole lip crayon craze until I saw these on offer and thought it was about time I tried them for myself! The shades I have are Elusive & Audacious. I believe they're £7.99 each but I got them on a 2 for £10 deal which Boots tend to regularly do at Revlon stands. My addiction to browsing the Boots website (research) tells me that Boots actually have a gift set of 2 Matte Balms & 2 Lacquer Balms all for just £14.99! Just saying. Let's get onto the review, shall we? We'll start with the packaging! It's matte to reflect the product inside, which is in contrast with Revlon's shiny lacquer balm counterpart. I like how the colour is also true to each shade so they're easily distinguishable! 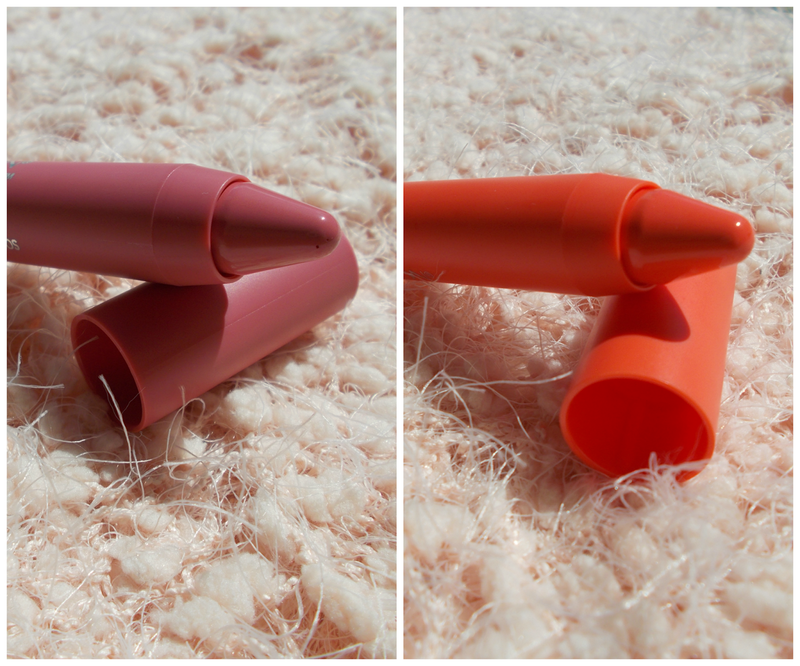 As far as lip crayons go, I suppose it's a fairly standard design but lovely nonetheless. The real beauty is what's on the inside anyway! The above photos were taken way back when I first got them so believe me, they're a lot more used than they appear here! Fellow bloggers, can we all just take a moment to reminisce on the wonder that is Summertime lighting for blog photos? I'd call this a dusty, muted pink. Of the two I tend to wear this one a lot more and like it both matte and mixed with lip balm to make it a bit glossier. This is a poppy orange/red and although yes, it's bright, it's definitely not as scary as it looks in the bullet! But if I'm not feeling a really intense lip, I like that I can smudge it down a bit without having to sacrifice on pigmentation. All in all, they're not too drying as far as matte formulas go, but when your lips are well exfoliated & moisturised, they'll look a lot better as well as last longer on the lips. 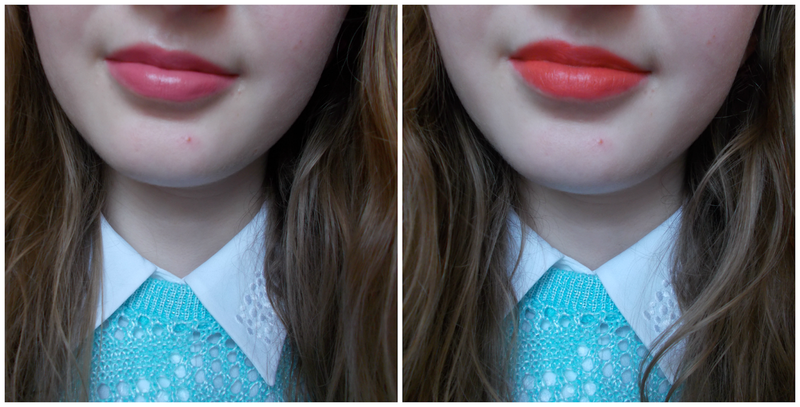 If you wanna know how to get rid of dry lips, I've got a post on that! 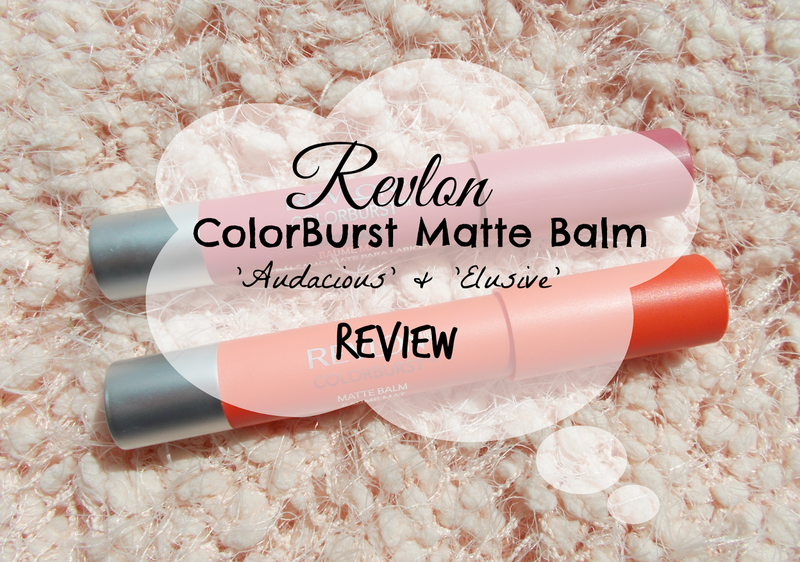 So those were my thoughts on the Revlon Matte Balms! Let me know if you're still loving the lip crayon or if you left them back in 2014.